CMO roundtable-How Can Brands Engage Consumers in 2018 and Beyond? Season 1, Episode 18 For our final episode of the 2018 year journalist, author, and public speaker Malcolm Gladwell and founder and author Steven Johnson, explore themes discussed in Johnson's latest book, ‘Farsighted: How We Make the Decisions That Matter the Most’ presented in partnership with the Next Big Idea Club. Malcolm Gladwell is curator of the Next Big Idea Club, a book subscription community curated by some of the world’s leading thinkers: Gladwell along with Susan Cain (Quiet: The Power of Introverts in a World that Can't Stop Talking), Adam Grant (Give and Take, Originals), and Daniel H. Pink (Drive, To Sell is Human). Together, these bestselling authors select each season's two most exciting new nonfiction books, and then we send them straight to you. Subscribe and leave a review for us in Apple Podcasts! Follow us on social media and use #builderspodcast FB IG Twitter This episode of Builders was hosted and produced by Laila Oweda. Season 1, Episode 17 Former Vice Chair and CMO of GE, Beth Comstock, discusses how to manage innovation in large businesses and her new book ‘Imagine It Forward’ - Beth’s personal approach to mastering change in the face of uncertainty. Beth was interviewed by Shana Lebowitz from Business Insider. Subscribe and leave a review for us in Apple Podcasts! Follow us on social media and use #builderspodcast FB IG Twitter This episode of Builders was hosted and produced by Laila Oweda. Season 1, Episode 16 2020 US presidential candidate, Andrew Yang, discusses why he believes we’re already in the 4th inning of automation and why it’s imperative we implement UBI (Universal Basic Income) sooner than later (or expect an economic disaster due to massive job loss). Tune in to this fascinating episode to hear more on the controversial topic of UBI and whether or not it is good for America. Andrew Yang also authored ‘Smart People Should Build Things’ and is founder and CEO of Venture for America, a NYC-based nonprofit organization focused on placing top-college graduates in startups for two years in emerging U.S. cities to generate job growth and train the next generation of entrepreneurs. Want more? Read our companion piece post! Subscribe and leave a review for us in Apple Podcasts! We appreciate all you faithful listeners out there. Follow us on social media and use our hashtag #builderspodcast for all things Builders! 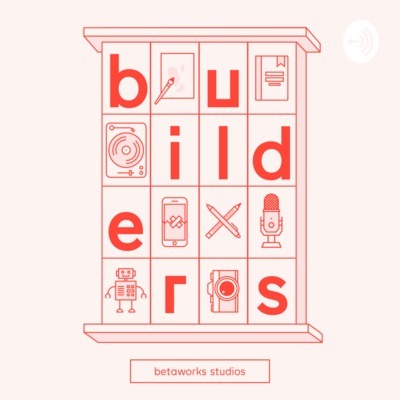 FB IG Twitter This episode of Builders was hosted and produced by Laila Oweda. Season 1, Episode 15 Hear Justin Durazo- Director of Interactive at Droga five, Kenny Gold- Director of Social Media for Grey, Ronen Shapiro- Director of Client Strategy at Twitch, and Dustin Callif- Managing Partner from Tool all discuss their thoughts on immersive storytelling for brands and how the technology has rapidly evolved, the pitfalls of broadcasting live, how to use streamers as influencers and much more. Want more? Read our companion piece post! Subscribe and leave a review for us in Apple Podcasts. We appreciate all you faithful listeners out there. Follow us on social media, and use #builderspodcast for all things Builders! FB IG Twitter This episode of Builders was hosted and produced by Laila Oweda. Season 1, Episode 14 We’re starting a regular AMA (Ask Me Anything) series here at Betaworks Studios! AMA is just one of the unique experiences you can only find at studios. Kicking us off is Bo Peabody. Bo started one of the first ever social media networks - Tripod.com while he was still at school back in 1991. He sold Tripod to Lycos in 1998 for $58m. Read more on that in our companion piece post to this episode written by James Cooper, Head of Creative here at Betaworks. Subscribe and leave a review for us in Apple Podcasts! We appreciate all you faithful listeners out there. Follow us on social media, and use #builderspodcast for all things Builders! FB IG Twitter This episode of Builders was hosted and produced by Laila Oweda. Season 1, Episode 13 CEO and founder of Gimlet Media, Alex Blumberg spoke with James Cooper, Head of Creative here at Betaworks about the ‘F’ word- Failure! Read our companion piece post here. Follow us on social media: FB IG Twitter This episode of Builders was hosted and produced by Laila Oweda. A Mid-Terms special: What former senator Bob Kerrey thinks about Trump, Kanye and much more! Season 1, Episode 12 This is one episode you don’t want to miss! Former Senator Bob Kerrey (Nebraska) spoke with Amanda Brown Lierman, Political and Organizing Director at the Democratic National Committee where he discussed his views on the political landscape today, the importance of driving the youth vote, and the role of technology in politics. Read our companion piece post here. Follow us on social media: FB IG Twitter This episode of Builders was hosted and produced by Laila Oweda. Season 1, Episode 11 This weeks episode is jam packed with so much knowledge! Key topics of this amazing women-led round table include: - How marketing spend is changing - Reaching consumers in a world where media consumption is increasingly personalized - Brand safety - As ads become commerce enabled how does it change marketing - How do brands transform into content creators Round table speakers: Joanna Lord CMO, Classpass Pam El CMO, NBA Emily Culp Former CMO, Keds Linda Boff CMO, GE Christina Carbonell Co-Founder, Primary.com Moderator Rich Greenfield TMT analyst, BTIG Read our companion piece post here. Follow us on social media: FB IG Twitter This episode of Builders was hosted and produced by Laila Oweda. Season 1, Episode 10 In this episode you will hear from Danika Laszuk, a former head of product at Apple and now head of our Betaworks accelerator program, Camp . Learn more about Cirkel here. Read our companion piece post here. Follow us on social media: FB IG Twitter This episode of Builders was hosted and produced by Laila Oweda. Season 1, Episode 9 This episode is by and for the ladies- Tech Ladies, that is! But can surely be enjoyed by everyone alike. Hear guest speaker Michele Serro share valuable advice for anyone looking to build a company. Learn more about Tech Ladies here. Read our companion piece post here. Follow us on social media: FB IG Twitter This episode of Builders was hosted and produced by our very own member of Tech Ladies, Laila Oweda. Season 1, Episode 8 Hear our talk with the top people creating frontier tech and those harnessing it for brands and organizations. Read our companion piece post here. Our guest speakers: Suzanna Applebaum Dan Bennett Alex Magnin Richard Ting Live event hosted by James Cooper Follow us on social media: FB, IG, Twitter This episode of Builders was hosted and produced by Laila Oweda. Season 1, Episode 7 Listen to Steven B. Johnson discuss his latest book, ‘Farsighted-How We Make the Decisions that Matter Most’; Live session hosted by Rufus Griscom, CEO of Heleo. ; Checkout the Next Big Idea club as seen in Forbes Finds. Follow us on social media! FB IG Twitter This episode of Builders was hosted and produced by Laila Oweda. Season 1, Episode 6 "I truly believe there are only five hours of creativity in a human being in a day." -Jules Erhardt Hear creative entrepreneur Jules Ehrhardt give an impassioned look at the ad (and larger creative) industry. Jules’ recently launched new studio, FKTRY. His two ‘State of the Digital Nation’ pieces on Medium. Our companion piece post to this episode. Follow us on social media: FB IG Twitter This episode of Builders was hosted and produced by Laila Oweda. Season 1, Episode 5 Hear Henry Timms and Jeremy Heimans discuss new vs. old power dynamics and their book New Power. Next Big Idea club as seen in Forbes Finds. Our companion piece post here. Follow us on social media: FB IG Twitter This episode of Builders was hosted and produced by Laila Oweda. Season 1, Episode 4 Hear from Jaron Lanier. Jaron is currently a researcher at Microsoft and is a scientist, musician and author. Probably best known for being an early expert on Virtual Reality. He has just released a new book: Ten Arguments For Deleting your Social Media Accounts Right now. In this hugely popular session Jaron will go through some of the main ideas in the book. Our companion piece post here. Follow us on social media: FB IG Twitter This episode of Builders was hosted and produced by Laila Oweda. Season 1, Episode 3 Today we are digging in to taking blockchain mainstream with guest speakers Jason Goldberg, Founder and CEO of OST (Open Simple Token), and Ben Bollen, OST founder and blockchain strategist. This is perfect for all members of the broader builder community, developers, entrepreneurs, product managers, designers and dreamers. Read our companion piece post here. Follow us on social media: FB IG Twitter This episode of Builders was hosted and produced by Laila Oweda. Season 1, Episode 2 In this episode, the topic of designing for blockchain is discussed by experts Sarah Baker Mills, product design director at Consensys. And, Connie Yang, design director at Coinbase. Amy Jung from Raw Haus is moderating the conversation. Be sure to check out our companion piece post here. Follow us on social media: FB IG Twitter This episode of Builders was hosted and produced by Laila Oweda. Season 1, Episode 1 In our premiere episode of Builders you’ll hear about what it means to build experiences in the Age of Instagram. Todays speakers are Dave Schwarz, Founding Partner of Hush. Paige Solomon, creator of the Dream Machine. And, Eric Wagliardo from MediaMonks. Read our companion piece post here. Follow us on social media: FB IG Twitter This episode of Builders was hosted and produced by Laila Oweda.